Thank you to Sue Hillman from It’s Your London for writing this Guest Blog for our DrinksThing evening! DrinksThing outings are famous for being in top places combining fun networking with a great experience. I’ve been to Twitter HQ and the Summer Exhibition at the Royal Academy with them to give you an idea of what I mean. So when the chance to meet new folk and go to the opera came up, I jumped at the chance. 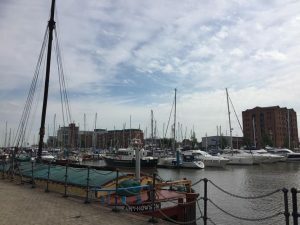 We met in a nearby pub for a chance to chat to fellow DrinksThing folk and find out what interesting people they are with great jobs in the arts, heritage and museum world. Then we swept across to the Royal Opera House, stopping briefly to enjoy its imposing facade. 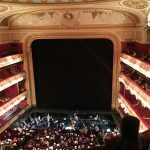 Once in our seats in the Amphitheatre section, we settled in to enjoy a brilliant view of the stage, ceiling and orchestra for Lucia di Lammermoor. Donizetti’s tragic opera was given extra punch by the innovative staging but I need to make a slight digression here for those who don’t know the story (spoiler alert) and here is how this production plays it. Loosely based on a novel by Sir Walter Scott, Lucia di Lammermoor is the story of a doomed love affair between Lucia and Edgardo who is the sworn enemy of her brother Enrico. The lovers meet in secret but are discovered by Enrico who is outraged. Edgardo has gone to war but not before the lovers have pledged to marry when he returns. We see Lucia experiencing morning sickness so it seems more than letters were exchanged. Enrico arranges a marriage for Lucia to Arturo and persuades her that Edgardo has been unfaithful . Enrico claims he will be ruined and killed if she does not marry and disregards her feelings completely. She marries Arturo just as Edgardo returns and, enraged, he demands his ring back. On her wedding night Lucia kills Arturo, has a miscarriage and descends to madness, imagining she is marrying Edgardo. Edgardo decides he will die in a duel with Enrico but then learns that Lucia is dying, realises what’s happened, and kills himself to join her in heaven. Phew! The staging was brilliant in my view but has split opinions within the RoH going public. The opera is played out in a split screen format so we had 2 rooms, or a room and a graveyard, each taking up half of the stage with action happening simultaneously on both halves throughout This took some concentrating along with reading the very useful surtitles so no drifting off allowed For me this added a rich complexity to the storytelling and more visual entertainment but having looked at a thread about this, some found it distracting and unnecessary – go with it I say! 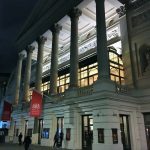 The star of the show was Lisette Oropesa playing Lucia, her singing was powerful and had amazing range, especially with those really high notes. This is considered one of opera’s most challenging roles for its technical demands and emotional intensity, particularly during the descent into madness She managed to sing at full emotional power even when laying on the bed and her acting was wonderful. She brought life to every scene she was in and even when she was in the side of the split screen where the singing was not happening, I still wanted to follow what she was doing. 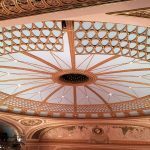 So, thanks to DrinksThing for a memorable evening: drinks, great networking and world class opera in this iconic venue! As Hull is City of Culture for UK, Linda Spurdle, Mark Macleod and I decided a few days there was needed. We arrived on Monday and left Thursday and took in so much culture! When we first arrived in the train station the first thing you notice is all the signage of how proud they are to be City of Culture. The next thing I noticed was all the volunteers – they were brightly colour uniforms and are so friendly! 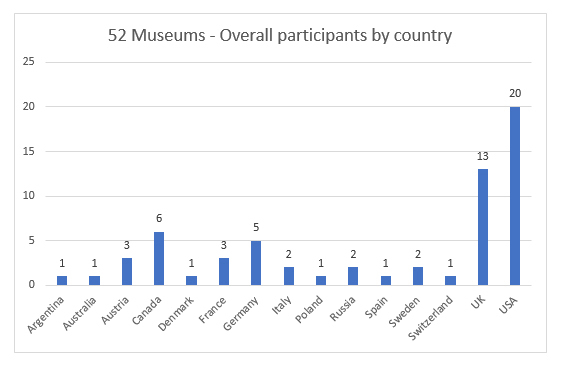 Our first 52 Museums Instagram project has wrapped up for this year and overall it has been a huge success, far better than even expected. At the end of each we ask all participants to complete a survey, give us their thoughts on how it went; what went well and what could be done better in the future. We had 44 respondents to this, which is amazing, thank you to everyone who took the time to send in their feedback it really does help us to make it even better for everyone each year. 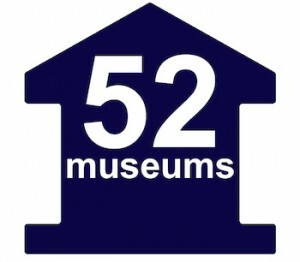 Finally, a big thank you to everyone who took part and made 52 Museums 2016 such a success, and now with over 13,700 followers on the account here’s to an even bigger and better 2017! Please Note: I took out the names for the quotes to ensure anonymity. 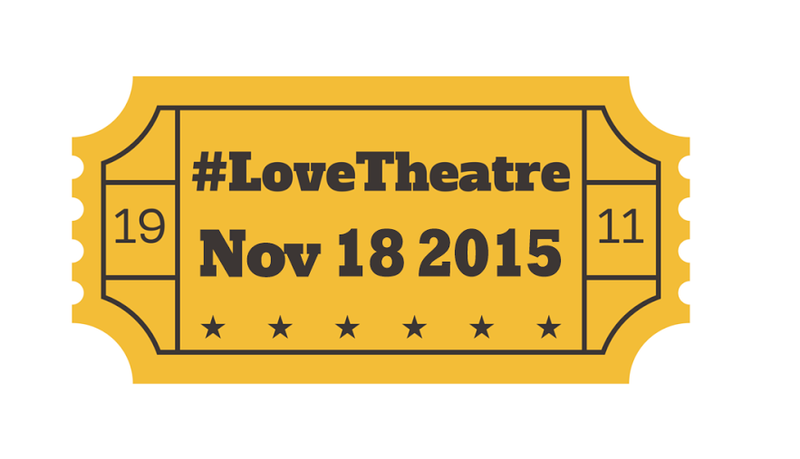 #LoveTheatreDay is Back November 16th 2016! Please know although this is #LoveTheatreDay we’re asking Museums, art galleries, national trust and ALL cultural venues to get involved and share your theatre collection with us! 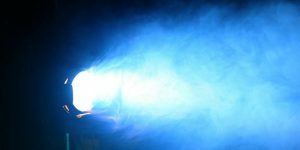 For more information on how it worked last couple of years, see this article. If you choose to share a live video broadcast on Periscope, please send an email to asultan@twitter.com to let the editorial team at Periscope know, as they will be looking for content to feature in the app. 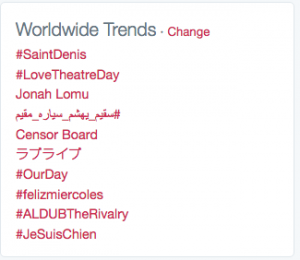 #LoveTheatreDay – World Trending Again – Thank you! Just a quick update to thank everyone who took part in #LoveTheatreDay. 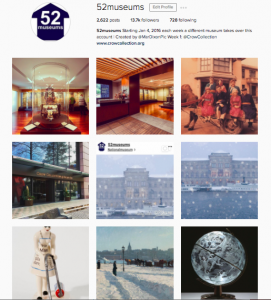 Here are some stats shared by TwitterUK (our – CultureThemes – partner along with Guardian Culture Professional Network). 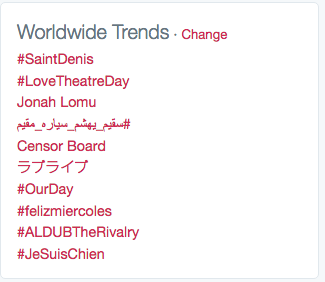 — 90K total Tweets mentioning #LoveTheatreDay related terms, in the 24 hour period. (Note this is more than double last year where there were 40K). — Trended top in the UK all day, and was in the top 10 worldwide all day (as high as 2nd). Also trended in France, USA, Italy. — More than 500 theatres, venues, amateur groups, industry bodies etc from 10+ countries worldwide took part. While there were many ‘favorite’ moments – I was personally touched by @ComedieFR (Comédie Française) in France who tweeted to discuss the recent events and illustrate how important it is to keep enjoying theatre and why/how the show must go on. Thank you. There were also many touching moments when theatres were talking to each other – many from different countries. The use of periscope grew a lot this year also. I managed to catch a few and it made me feel like I was there (and not in a flat in Vienna). 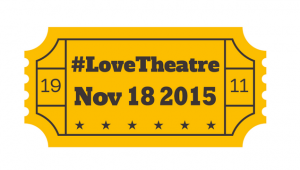 This year #LoveTheatreDay is going to be bigger and better – how do I know? From the amazing response we had last year going World Trending. 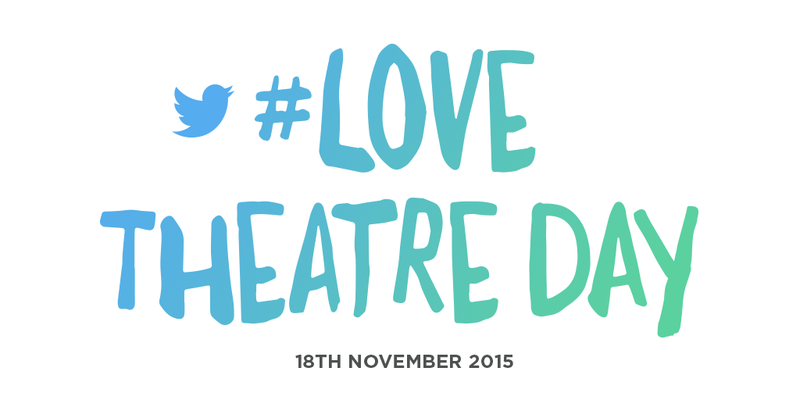 Throughout the day, we encourage everyone to tweet using #LoveTheatreDay and say why they love theatres. This is open for the general public of course but we want people who have been (or are in) am dram productions to also tweet and share. I also asked museums and galleries to share their collection that is theatre related and publishers to share books related to theatres. #BackStage (10am-12pm) will offer audiences and other arts professionals a glimpse into how a production comes together in the weeks and months leading up to the big night. #AskATheatre (3-5pm) will offer a unique opportunity for theatre aficionados and aspiring actors to hear first-hand from the individuals and groups that make the magic happen. #Showtime (7-10pm) will give those who can’t make it to a theatre the chance to sit in the “virtual stalls” to experience the a performance, or several, via Twitter. The most important message for me is, like museums, theatres do SO much within their community that goes un-noticed. With further cuts looming, lets highlight all the brilliant work that is done outside of the 2 hours show. Theatres worldwide work with kids, teens, adults and older generation. The community outreach is amazing. A Midsummer Night’s Dream: A Play for the Nation sees the Royal Shakespeare Company working with 13 partner theatres, 84 amateur performers and 580 schoolchildren, alongside 18 professional actors and the creative team for a major tour of A Midsummer’s Night’s Dream. How wonderful to see a connection from amateurs to professionals! We’d love to hear from everyone involved in theatre – whether it’s with the 3 hashtags or general #LoveTheatreDay tag. To sign up please see our form here on this Guardian Cultural Pro article. 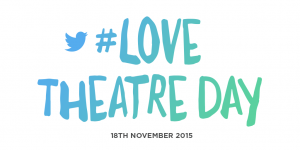 And don’t forget to follow #LoveTheatreday, @CultureThemes, @GdnCulturePros, and @TwitterUK!